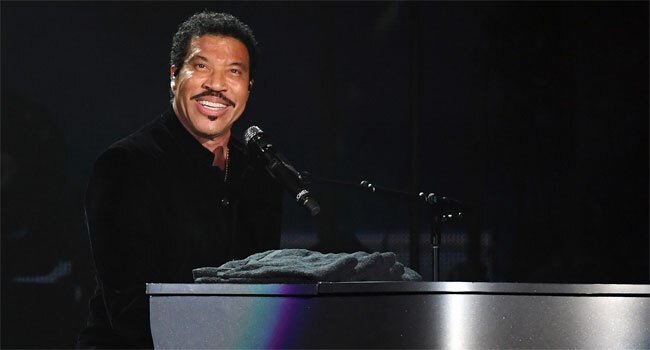 Lionel Richie takes fans on a spectacular musical journey with his new album, Live from Las Vegas. The collection, set for release on August 23rd, marks the legendary artist’s first release on Capitol Records. The album will be available on CD and Deluxe CD with an exclusive Target edition. See below for track listing. Richie will launch the Hello Tour on May 28th at Smart Financial Centre in Sugar Land, TX. He’ll be playing all the hits during the headline outing, which includes shows at Radio City Music Hall in New York City and the Hollywood Bowl in Los Angeles. All online tickets purchased for the summer 2019 North American headline tour will include a CD copy of Live from Las Vegas. VIP packages will also be available. Citi is the official card of the Hello Tour. As such, Citi cardmembers will have access to purchase pre-sale tickets beginning March 26th at 10 am local time until March 28th at 10 pm local time through Citi’s Private Pass program. Pre-sales in some markets may begin later. Tickets for most dates on the tour go on sale to the general public this Friday, March 29th at 10 am local time at lionelrichie.com. See below for itinerary and further information. Live from Las Vegas was recorded at Zappos Theater at the Planet Hollywood Resort and Casino. It features Richie performing material from throughout his career, including beloved songs from his solo albums (“All Night Long,” “Say You, Say Me,” “Hello,” “Dancing On The Ceiling” and “Truly”) and his time with The Commodores, where he developed a groundbreaking style that defied genre categories, penning smash hits such as “Three Times a Lady” and “Easy.” The album also includes an inspiring performance of the landmark song “We Are the World,” which Richie co-wrote for USA for Africa.